This year the Telegraph ranked Rome among top 20 most visited cities. Indeed, with the ancient ruins, romantic vibes, picturesque Renaissance palazzos and delicious food in local trattorias Roman pulsating energy has always drawn tourists and international guests from all over the world. 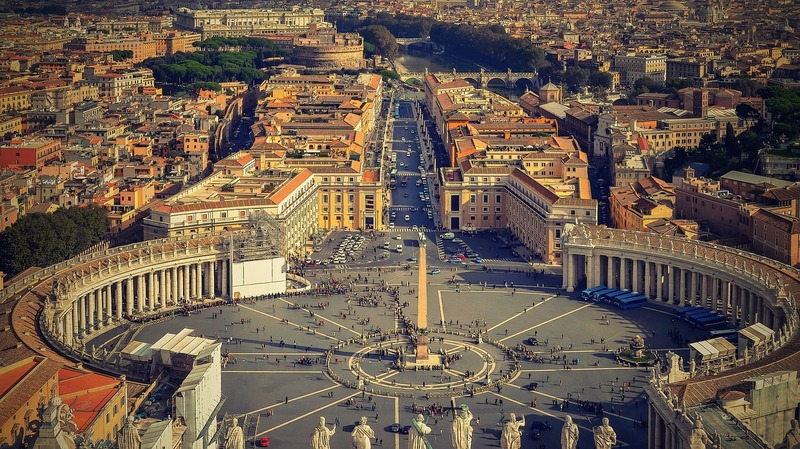 Whether you come to do sightseeing in Rome and tick all the boxes in the top things to do list, or go shopping for designer clothes and famous leather jackets and handbags, or walk around the ancient ruins thinking about the bygone days, Rome, among other fantastic cities in Italy, will leave you speechless. We at MeetnGreetMe are sure that our verified Roman travel experts will do all it takes to make you fall in love with the capital of Italy, so, on our part, we would like to bring you top places to stay in Rome, best 4 star and 5 star luxury and boutique hotels to cater to needs or any sophisticated traveler. Babuino 181 Hotel belongs to the list of top luxurious boutique hotels in the heart of Rome. All suites are furnished in an elegant Italian style with king size beds, Frette bed linens and marble bathrooms. All the main tourist attractions are within walking distance, and you can see many from the rooftop restaurant. If you are looking forward to going on a shopping spree in one of the fashion shopping centres of Europe, Babuino 181 Hotel would also be a great marriage for your aims. 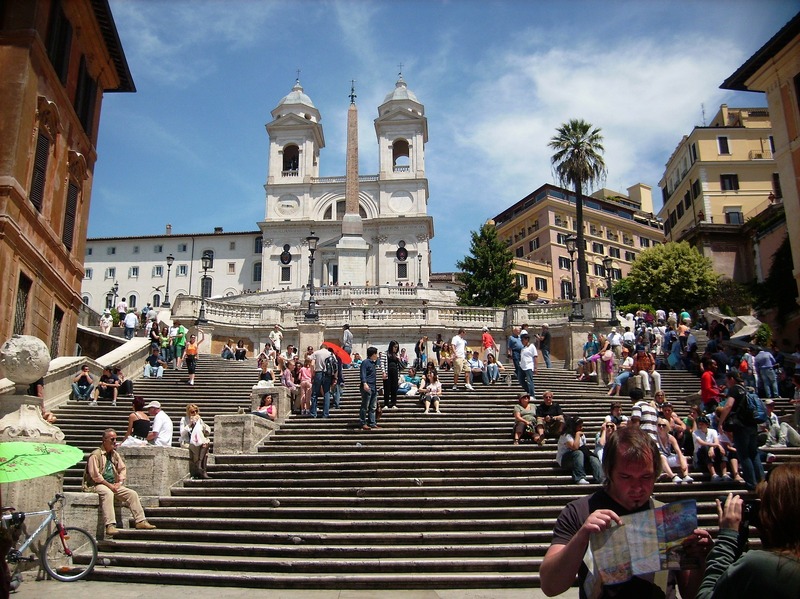 Babuino 181 Hotel is located just at the fashion triangle which extends from Piazza del Popolo to the Spanish Steps and Piazza San Lorenzo in Lucina. This luxury hotel is enviably located at the site of the famous Villa Agrippina right in the centre of Rome. This historical villa once belonged to Emperor Nero’s mother and is renowned for it’s spectacular scenery, exceptional location along the River Tiber, and close vicinity to the popular Roman cultural attractions. 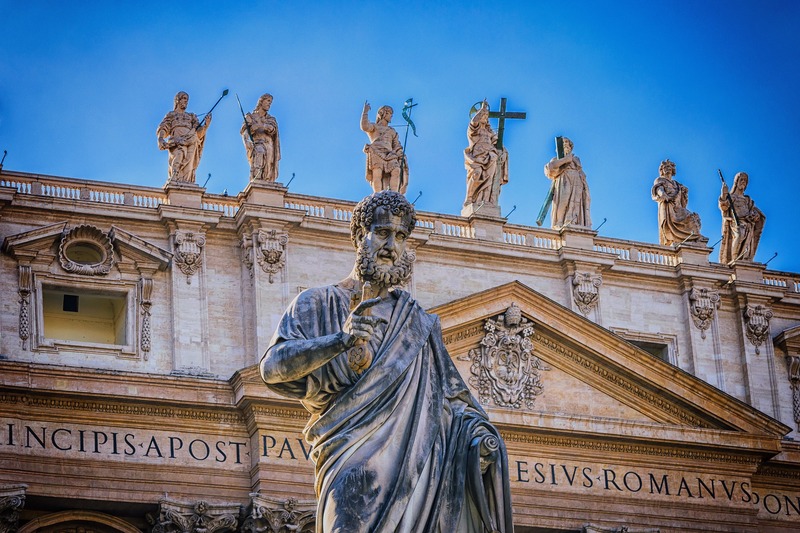 The Sistine Chapel & St. Peter’s Basilica are just 10 minutes away from the hotel. Elegant Murano chandeliers, large windows and vintage Italian design will definitely leave you impressed. There is also an outdoor pool, full-service wellness zone, and rich breakfast buffet with a wide variety of dishes. Definitely a great choice for a weekend in Rome. If you are into VIP 5 star location near the Spanish steps and a Michelin restaurant, then Hassler Roma Hotel is right for you. It’s the most luxurious hotel in Rome, offering unique rooms furnished with antiques, Swarovski accents and exquisite wooden decor. At the same time, the interior design is notably classical and contemporary at the same time. 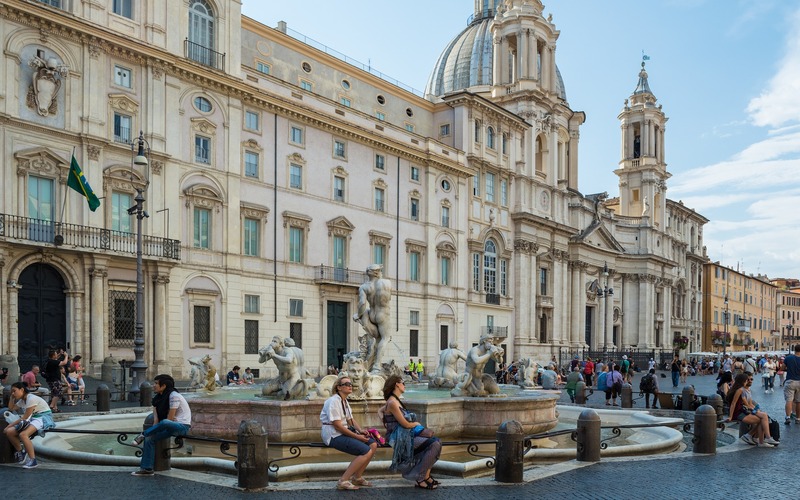 All main tourist attractions are within walking distance, such as Trevi Fountain, Piazza Navona, Via dei Condotti, and Ara Pacis. High end shopping area is just around the corner. Hassler Roma Hotel has its own luxury in-house salon with top stylists and colourists, fitness centre, hammam, and many more useful amenities. 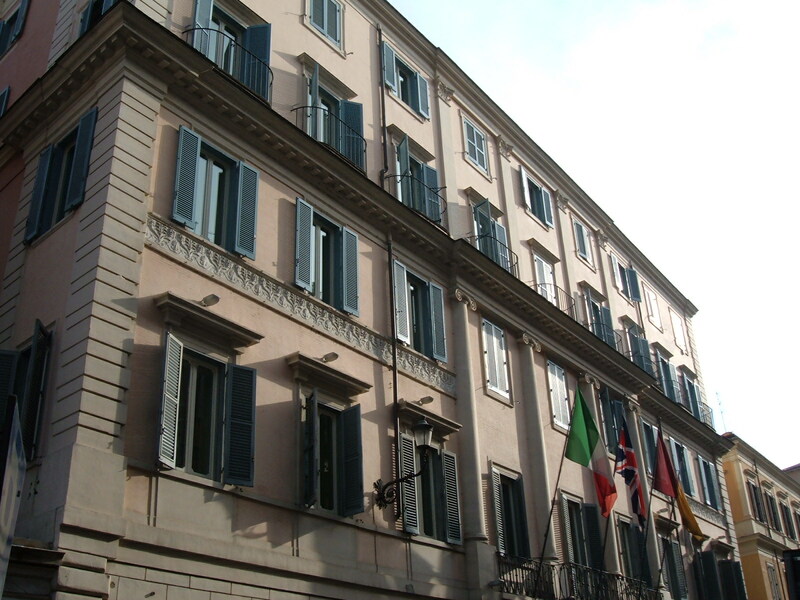 Belonging to Relais & Chateaux family, Hotel Raphael is among 5 star luxury hotels situated in the center of Rome. Hotel Raphael is most renowned for its astonishing location just a few steps away from the Pantheon, Spanish Steps and St. Peter’s Church. The roof top terrace Bramante is a perfect place to sip cocktail in a romantic atmosphere and enjoy the panoramic view of Rome. But it’s not only the location which makes Hotel Raphael popular among international travelers. Launched in 1960s the hotel boasts of a large collection of antique pieces of art, Picasso ceramics, sculptures and paintings. Undoubtedly, Hotel Raphael is the best place to stay if you want to plunge into the Roman atmosphere of history, culture, and extravagance. Portrait Roma Hotel is located at the heart of Roman shopping district, just 300 m away from the famous Spanish steps. Popular brands stores, such as Rolex, H&M, Zara, Nike, Cartier, are also nearby. 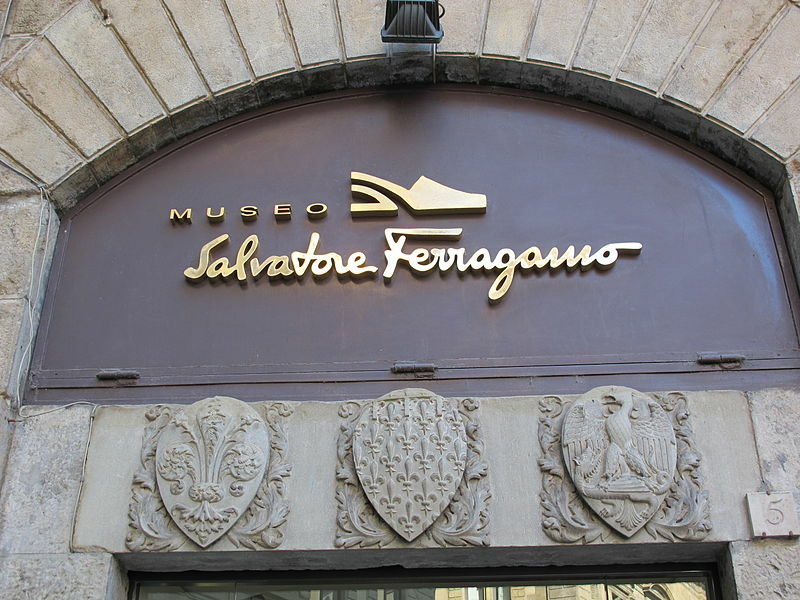 The luxury suites are situated above Ferragamo boutique and are closer to high class residence accommodation type. The rooftop bar is for guests only and it offers a fascinating view over Rome and its main tourist attractions. Perhaps, due to the fact that Portrait Roma Hotel is owned by the Ferragamo family, it is famous for its interior design and exclusive decor. Extravagant colours, silk curtains, framed sketches and elegant designer furnishings. Every detail is meant to make every guest feel special. Impeccable lifestyle management team and personalized service will leave no one indifferent. Rocco Forte Hotel de Russie is, in fact, the first true design hotel in Rome and a favorite with the Hollywood A-list. 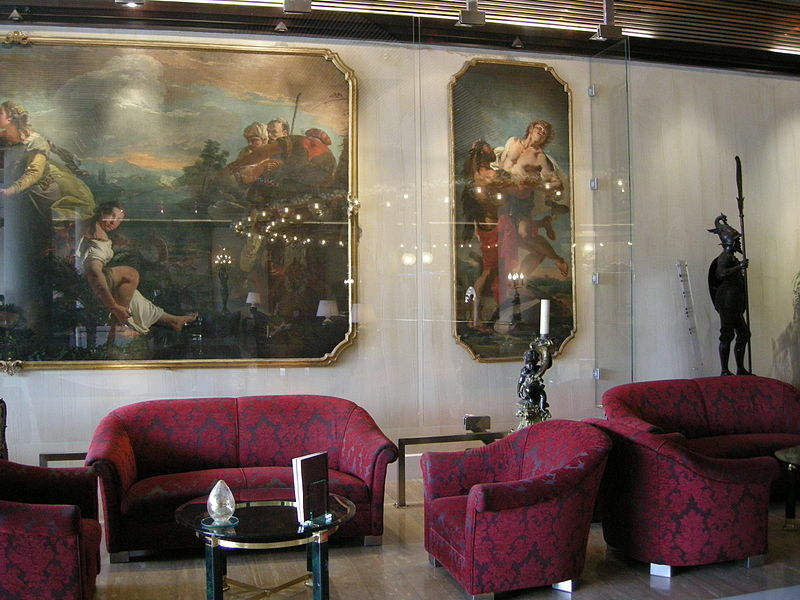 Being located in a bohemian district of Tome within a walking distance away from Porta del Popolo town gate, Rocco Forte Hotel de Russie is a perfect choice for those who are equally interested in doing shopping at high end brand stores, such as Gucci, Fendi, and Prada, and strolling around the Borghese Gardens. 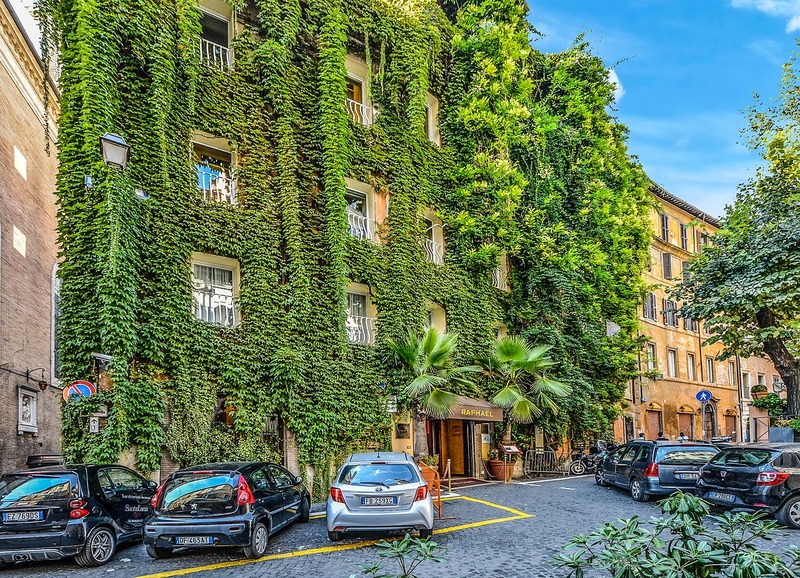 The main highlights of Rocco Forte Hotel de Russie are its mesmerizing terraced gardens, luxurious spa, some of the best-informed concierges inRome, free electric bicycles for guests, Le Jardin de Russie restaurant and the Stravinski Bar. Hotel Artemide is located in a 19th-century building on the famous Via Nazionale. Having been chosen 2017 traveler’s choice on Tripadvisor, the hotel is becoming more popular and enjoyed by international tourists due to impeccable staff service, perfect location close to popular Roman places to visit, and stunning rooftop bar with panoramic views. 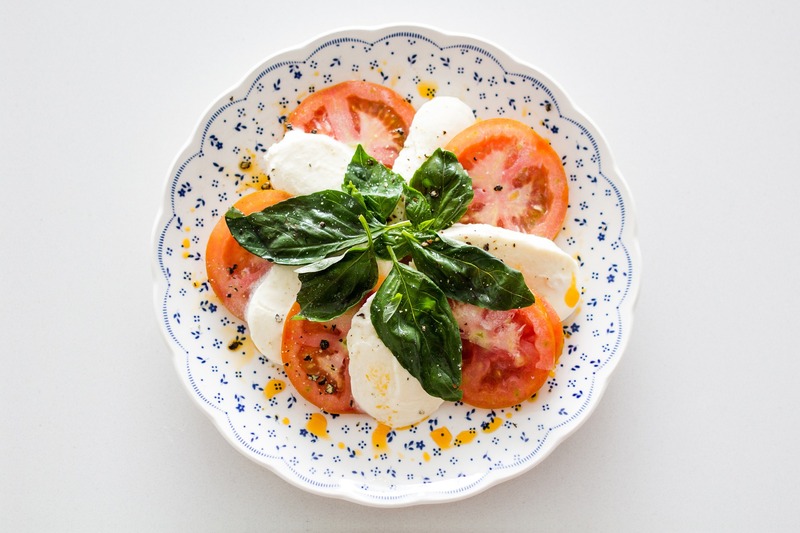 Guests will definitely enjoy fresh breakfasts with Caprese salad, courteous service, free minibar and free WiFi. Ideal for a romantic and family city break. 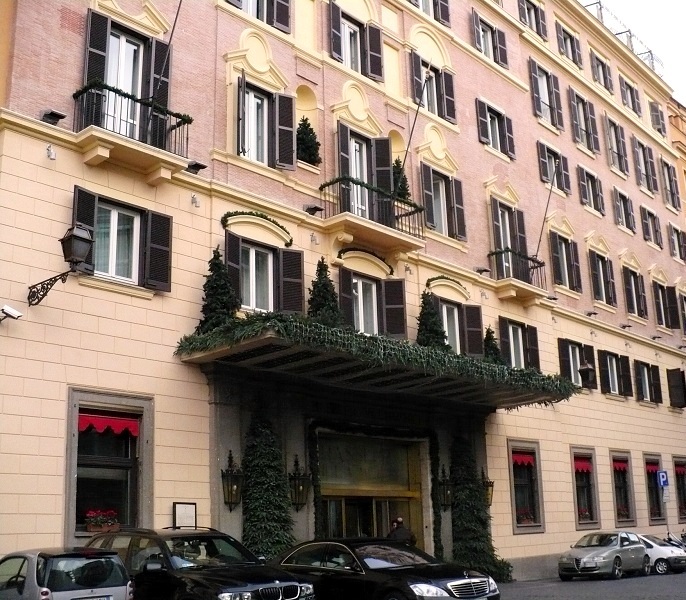 Palazza Navona Hotel is a luxury upmarket 4 star hotel in the historical centre of Rome. Perhaps, this hotel has the best location out of all. Piazza Navona, Campo de’ Fiori and the Pantheon are just a few meters away, so Palazza Navona Hotel is ideal for tourists willing to explore top tourist attractions and main gems of the Eternal City. The interior design has the trendy Scandinavian style with impressing handicrafted furniture, exclusive art books, and crisp white bed linens. Palazza Navona Hotel also has special rooms and lifts for guests with disabilities. All rooms are soundproofed to make sure all travelers rest in serene and peaceful atmosphere. Rome Cavalieri Hotel which is part of Waldorf Astoria Hotels & Resorts houses in the lobby the world’s most prestigious art collection housed within a hotel. Another highlight is Rome’s leading gourmet restaurant to cater to the tastes of most sophisticated guests. Rome Cavalieri Hotel doesn’t have a perfect location being situation on Monte Mario hill which is 15 – 30 minute’ drive away from the main sights, such as the Colosseum and St. Peter’s. At the same time, there is a free shuttle bus guests can take to go to the city centre and come back. What’s more, among amenities of Rome Cavalieri Hotel there is the award-winning Cavalieri Grand Spa Club with two Davis Cup red-clay tennis courts and three outdoor swimming pools. Tired of impersonal hotels and all the same rooms and service? Then Casa Fabbrini is for you. It’s a cozy four-room vintage hotel hidden in the heart of historical Rome in an old 16-century townhouse. Casa Fabbrini is just five minutes away from the Spanish steps and Via Condotti. It’s welcoming design and the feel of home make you want to move there for good. The vicinity of Santa Cecilia music academy creates the special atmosphere while students are practicing, letting you plunge into the cultural and musical Rome. Rome is meant to be enjoyed and savoured to the last pebble. Amazing Roman holidays to you! A good blog with very useful content. I really appreciate your efforts for bringing this info to the world. God Bless and keep writing.